While Marvel Studios and the Russo Brothers finally provided fans with their first look at footage from Avengers: Endgame (that's the title, by the way, Avengers: Endgame), the first trailer for the fourth Avengers movie has raised as many questions as it answered. That tends to be the way with first/teaser trailers anyway, but it is doubly obvious when you have a movie like Endgame, which takes place after the Marvel Cinematic Universe's first ten years have been completely turned on their head and a long-established universe is thrown into chaos. The trailer presents a vision of a world in mourning and shellshocked superheroes following The Decimation (that's what we're calling the Thanos snap now), none of whom can fully get their fingers around what to do next after the crushing and universe-altering defeat at the hands of Thanos in Avengers: Infinity War. So let's take a quick look at the trailer and see what our biggest questions are, in the hopes that our commenters can chime in below and give us some good ideas, or just tell us "hey, you're dumb, you missed that shot in that other part of the trailer that answers your dumb question." On second thought, don't do that last thing. It's rude. But if you have something clever to add or a question you wish we had included, by all means, comment below or hit up @russburlingame on Twitter. Slide 1 of 8Where is Captain Marvel? The previous Avengers film ended with a post-credits stinger that a desperate and dying Nick Fury was hailing Captain Marvel from space...and a month before Endgame hits theaters, Carol Danvers herself will be making her solo movie debut. So, if Carol is going to be intrinsic to the plot to stop Thanos, as many fans suspect, where is she in this trailer? Like the Hawkeye thing, you can kind of suss this one out from context and a little common sense. While Carol is going to appear in both her own movie in March and Endgame, now in April, the odds are the exact nature of her involvement in Endgame will be teased in a post-credits coda to Captain Marvel. 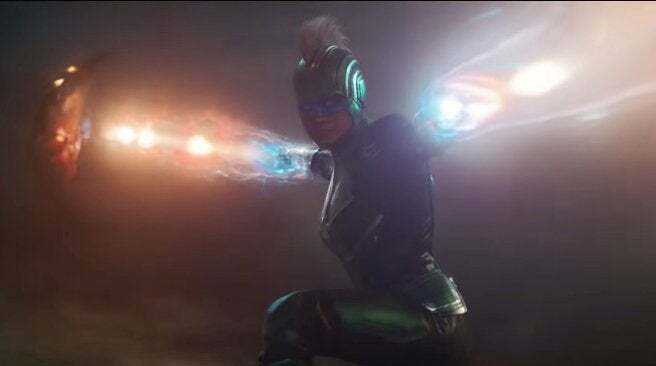 Showing her big entrance now would not only spoil a plot point, but arguably would carry a lot less weight than it would to do that in a "final trailer" in the days following Captain Marvel's release, when fans have an established relationship with the character and can be suitably impressed by her arrival. 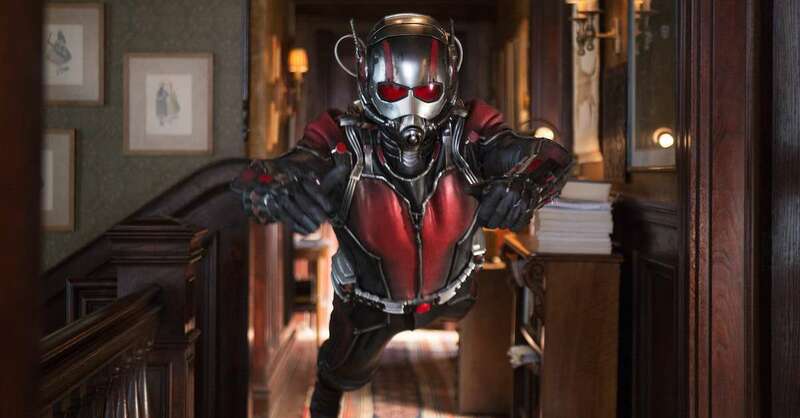 This trailer was also kind of downcast and reflective (well, except for the Ant-Man part), so bringing in a new character who is inspirational and upbeat would offset the downcast parts...and bringing in a character who has no prior history with either Avengers fans or the Avengers themselves would offset the reflective part. Slide 2 of 8How did Ant-Man get out of the Quantum Realm? 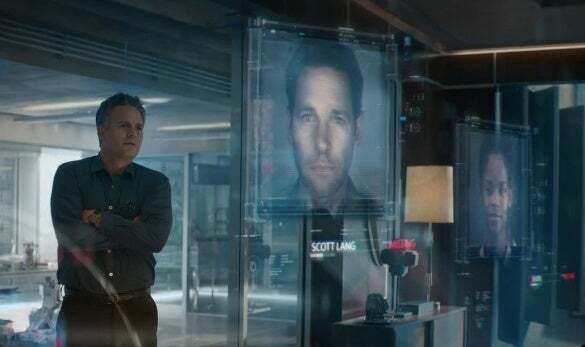 When last we saw Scott Lang (Paul Rudd), he was exploring the Quantum Realm when his tether to the physical world was lost by the sudden Decimation of the rest of his team back at home. The implication was that he, like Janet Van Dyne (Michelle Pfeiffer) before him, would be lost in the Quantum Realm, doomed to linger there until someone could figure out his situation and pull him out. When we see Scott in the trailer, though, it does not appear as though anyone has joined him in the van (which was their mobile operations center the last time we saw him). Instead, it seems he managed to escape the Quantum Realm by himself somehow, and went straight to the Avengers for help (or to help). Slide 3 of 8Where is Rocket? We see Thor, the god of thunder, stripped of his home, his people, his best friend, and his brother before and during Infinity War -- and now sitting, alone, mourning those various losses. 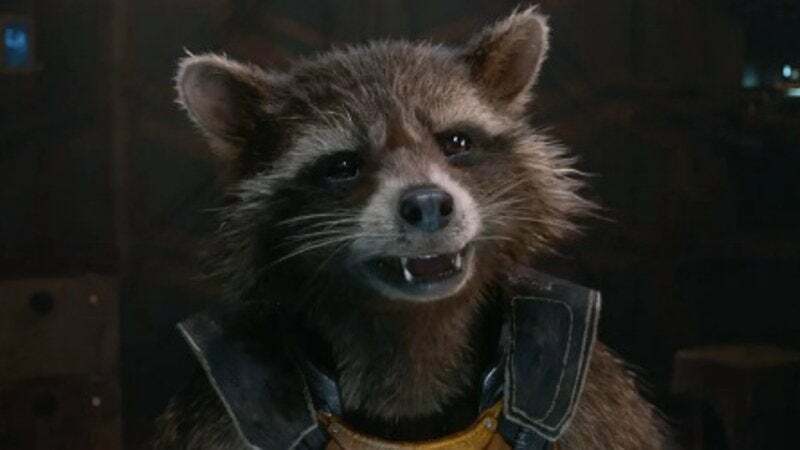 Along the way, Thor managed to make a single friend who helped him cope with the various losses of Ragnarok and Infinity War: Rocket, the lone surviving member of the Guardians of the Galaxy left in place after the Decimation. Our best guess is that he is simply out of frame -- that the two have likely continued to stick together, lacking (as both of them are) much of anyone else to connect to. Another obvious possibility is that he is off drowning his sorrows someplace separate from Thor, because while they became close during their adventure together in Infinity War, a few days trying and failing to save the universe with Thor was never going to eclipse the loss Rocket feels from losing his "son" when Groot died or the rest of his family when the Guardians disappeared. Slide 4 of 8What's the deal with Hawkeye's hood? This one...well, this one seems obvious from a narrative point of view, and comic book fans likely understand even more than those just watching the trailer at home. Still, it is not explicitly answered in the trailer, and this gives us a chance to look smart by speculating about something that is almost definitely right. 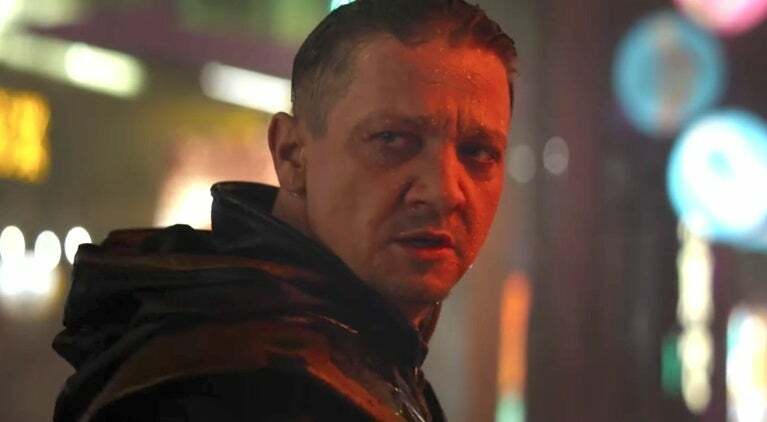 Fans will remember that Hawkeye (Jeremy Renner) did not appear in Avengers: Infinity War, in part because he was retired from the whole costumed-do-gooder business. Clint had a family to think about, and the superhero civil war did not make him many friends, so it seemed an ideal time to focus on the home front, as seen in Avengers: Age of Ultron. Now, though, he's back, he's wearing a black suit with a hood, looking world-weary, and beating the crap out of people in Japan, rather than on a farm middle America. So what changed? First of all, he is likely no longer called Hawkeye, but Ronin. This is a role that Clint took up in the comics after he returned from the dead at one point. Second? Well, it seems likely his family were erased from existence following The Decimation, and that in effect, after the Snap, Clint...snapped. Slide 5 of 8Where is Nebula? This one is a little different than the other "where is...?" questions, because we do see Nebula in the trailer, she just does not appear to be in the most obvious place for her to be, and there is little context for what shes' up to. In a more "normal" situation, the apparent death of every member of the Guardians of the Galaxy except for them would make it obvious that Rocket and Nebula somehow found each other and are headed off together in search of solace and a new adventure. Not so, obviously, since the last time we saw Nebula she was hanging out with Tony Stark. That means that his heartbreaking message to Pepper Potts and apparent isolation raises some serious questions about what happened to the Mad Titan's "daughter." 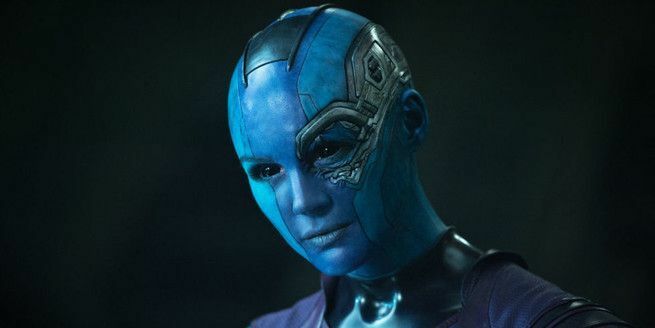 Nebula has always been kind of a lone wolf and there was very little emotional connection between her and Tony Stark anyway, so it is distinctly possible that the answer is as simple as she found a way to leave and left him to rot, or that she chose to go off and die alone in a different place, or that she is just elsewhere on the ship. As with Thor, the isolation may be a storytelling device used in the trailer (and/or movie) more than it is literal. Slide 6 of 8How does the world deal with the Decimation? How does the world at large deal with the Decimation? A character like Shuri could have gone underground so that she could work in secret, could have recoiled back into the secrecy and safety of Wakanda in order to protect the nation from the chaos outside, or could have simply disappeared into the persona of the Black Panther following the death of T'Challa in Infinity War. If she had done any of these things, nobody would have any reason to suspect that she was alive and operating in secret, and instead would just think she got "snapped" away. That can be proven out by the fact that it appears to be what literally happened to Scott Lang, whose re-emergence at the end of the trailer seems to shock Captain America in a way that nothing has since he popped out of SHIELD's holding cell into modern-day Manhattan. This could go for supervillains, as well: with half their jailers suddenly gone, what are some of the most dangerous people on the planet up to now that a prison break could be mistaken for a death and not investigated? It has big implications for the shape of things going into Engame. Slide 7 of 8Why is Captain America in the Winter Soldier costume? 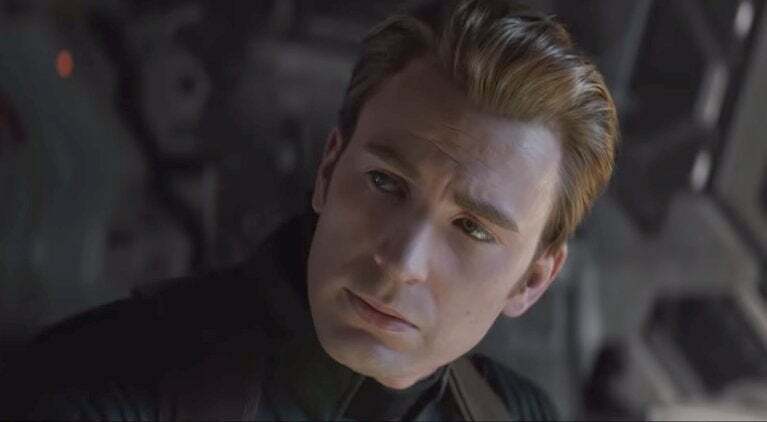 Steve Rogers appears to be in the costume he wore in Captain America: The Winter Soldier, which seems likely to mean that he is back in good with the U.S. government following the events of Infinity War. Captain America tends to change his costume less arbitrarily than other superheroes (certainly less so than Iron Man), and the fact that he is back in that particular suit likely "means" something. Think about it: his first costume change was due to changing time periods. His next costume change came when he went into active duty with a special branch of the military. The next? After he became a fugitive from justice. Given that everyone else seems to be mostly resigned to their fate and in mourning, while Captain America and Black Widow are preoccupied with putting the Avengers Iniative back together and finding a way out of the mess Thanos left behind, one strong possibility is that Cap wears the suit as a rejection of the hopeless status quo. But more clearly, it likely means that even the government realizes that after Thanos's attack there are bigger fish to fry than the Sokovia Accords just now. Slide 8 of 8What is the Avengers' plan? Obviously, this one was never going to be something revealed in the first trailer. Whatever their plan is, it will likely take until a good chunk into the movie before fans can find it out, and it will almost certainly be a reveal -- meaning that giving it away in the very first footage you release would undercut the whole first part of the movie. That said, the only thing we do get from the trailer is Captain America and Black Widow -- two people without significant super powers, stuck battling against an unstoppable foe who has already won -- saying that their plan is going to work. That is some Batman-level confidence right there, folks, and it makes us wonder what they have up their sleeve. There are some ideas out there in the ether already -- mostly involving time-travel -- but with no official hints yet, we will have to wait until April, or at least until a more spoilery trailer hits, to be sure. Avengers: Endgame opens in theaters on April 26, 2019. Other upcoming Marvel Cinematic Universe movies include Captain Marvel on March 8, 2019, and Spider-Man: Far From Home on July 5th, 2019.